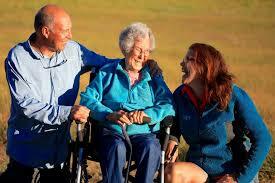 It can be difficult to find original ways to spend spring break with your aging parents. We listed some tips for you to find the perfect family events and make your parents happier than ever. Holiday time also means doing something you normally can’t. Why don’t you choose together a relaxing location to visit? Whether it is a place you have been many times to and would love to see again or something absolutely new, the most important thing is to plan ahead and be ready to have some fun. Nowadays, many websites suggest infinite possibilities, take advantage of all those functions in order to be organized. Maybe you would prefer to stay at home. According to many psychologists, tidying up helps us clear the mind. 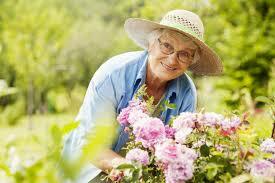 Gardening, in particular, is suited for all ages and can be very fun. While it creates a memory, it also leaves space for further activities together. In fact, when you decide to plant a flower, for instance, you instantly have fun, but you will also have to keep the flower nourished in the future. Seeing your results together is rewarding, perhaps take pictures if you want to keep track of the progress you have all made. Who doesn’t love eating? 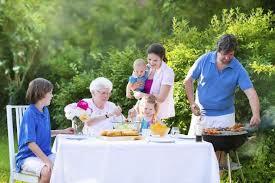 A barbecue is the perfect occasion to gather with family and friends and spend a nice evening together. The weather is warm, the days are longer, sit back and relax with your family and enjoy the change of season. You would be surprised knowing how rarely aging people go shopping. 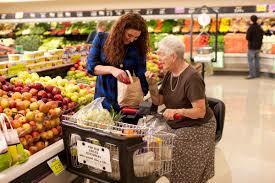 Going shopping can be a great excuse to get your elderly parents out of the house for a few hours. If you decide to go clothes shopping this may provide self confidence and together can make them rediscover what they have lost about themselves. Of course, it can also be fun! Make them choose different colors and fabrics, talk together about new trends and listen to what they have to say about them. Make your parents the center of attention. 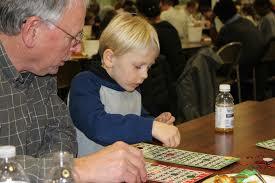 The majority of aging people love bingo and it is fun for everybody! Try to gather your family in one room, prepare something warm to eat, light up some candles to create the atmosphere including some sing-along-tunes. Not only will it be relaxing, but it will also create an occasion for a family reunion. Art museums can be difficult to go to during spring break, but if you can choose the right day and the right time, it would be absolutely nice. 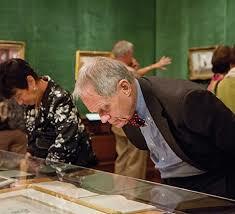 Choose a permanent exhibition or a temporary one, try to guess your parents’ preferences. Along the way grab some lunch, as a majority of museums there have nice and quiet café where you can talk about what you have just seen. Take pictures along the way! 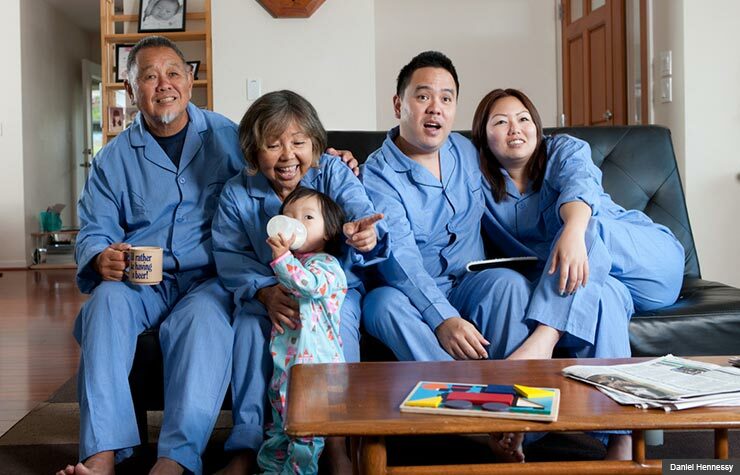 If your parents are movie fanatics, a movie marathon is the way to go. If you can’t find the perfect movies online, go to a library. Set up the atmosphere with cookies, muffins, popcorn, raw fruits and vegetables. Turn off the lights, bring out as many pillows as you can, and don’t be alarmed if you all happen to fall asleep. Enjoy the night spent curled up on the couch! Family time also means recreating ways to relive memories. This is why selecting the most significant pictures of you and your parents to hang in the kitchen or the living room will make them happy. Be as creative as possible! Choose the right frame, add some lights and colors, even glitter if you like it. 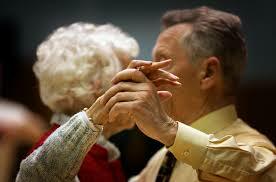 If your parents love dancing, look up a dancing night for aging adults and go with them. Jazz could be the ideal soundtrack for the occasion, but be open to other genres if they are too. It is also an event to socialize with people their age and, of course, enjoy themselves doing something healthy too. Spring break also means that the nights get longer and the stars are more visible than ever. 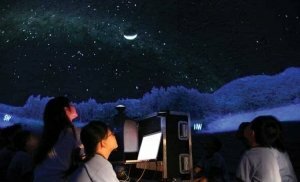 If there is a planetarium near you, bring your parents there and discover the beautiful secrets of the universe.